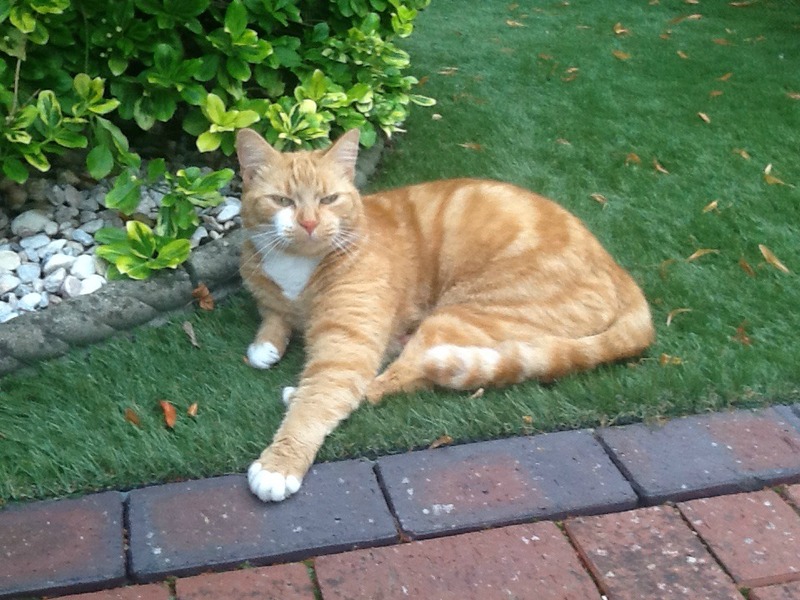 Gorgeous ginger boy Simba came into CP care in April 2017 aged 4 years old and was Alison's very first cat as a Cats Protection foster mother. Alison says Simba "was most put out about changing homes yet again and asserted himself with snarls and hisses. After a couple of weeks the snarls turned to catty aloofness and Simba began to take his place as King Cat. I couldn't believe the personality change when Lorraine and her husband came to meet him. It was like a reunion of long lost friends – they were clearly meant for each other. What a fantastic first experience as a fosterer! I am so happy that Simba has found his perfect family and permanent home and I'm so pleased for the lovely adopting couple – the pictures say it all!!" Simba was adopted in June and a month later we can see how happy he is at home with Lorraine - "
Thank you Cat Protection. I knew from the moment I saw Simba he was the 1 for me. This poor boy had a really tough time in his early life... He is 5 years old now and at last has found his forever home with me. He settled in almost straight away. So intelligent and loving oh and spoilt now obviously. We adore him and can't imagine life without him now. Thank you Alison for fostering him while he was waiting for me to come along."